Dig below the surface and you soon realize that Brian Gallagher is like a superhero, a conqueror. At work, in the midst of well-publicized corporate challenges globally, Kumho USA’s Brian Gallagher has maintained a steady, solid approach to the mission he was chosen to accomplish: build Kumho Tire’s name recognition as a trusted brand within North America. His efforts have helped the tiremaker maintain consistent growth and stability in the U.S.
For the past two years, Gallagher has chartered fresh territory in a crowded field of tiremakers. While many brands use sports marketing as a strategy, Gallagher has found ways to leverage the company’s NBA.com and NBA sponsorships to build brand awareness and a reputation with both dealers and consumers. Some focus on what he describes as “hanging a sign,” but Gallagher pushes for a more “elevated and highly integrated” approach. For example, Kumho uses social media and video starring NBA players and unique campaigns to deepen audience engagement. 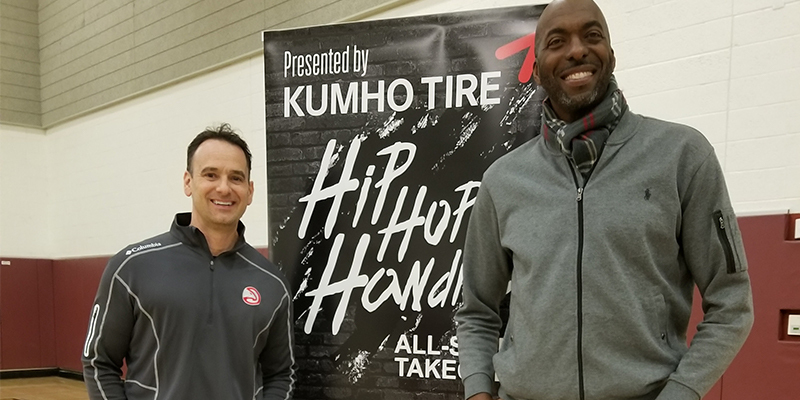 Most popular were a series of “Kumho Tire Hip-Hop Handles,” a national competition that invited basketball fans to demonstrate their ball-handling skills and talents against NBA greats such as John Wall and Philip “Hot Sauce” Champion. 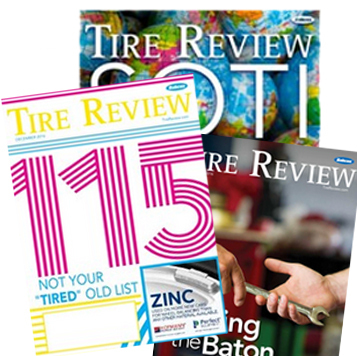 The campaign got “explosive reach” on social media for the tire brand. In fact, the work of Kumho’s U.S. marketing team was submitted by the Atlanta Hawks to the NBA as a top sponsorship activation. Dig deeper and you learn that Gallagher’s battle for industry market-share pales in comparison to his private battles in 2008 and 2013 as a survivor and “two-time conqueror” of cancer. Gallagher’s brain cancer was malignant. Fast work by one of the best neurosurgeons in the country, along with his sense of humor and faith, helped him come out on the other side with a sense of purpose and appreciation for life. Like many of us, Gallagher has lost friends to cancer. He’s also found that survivors have challenges after, but talking about it helps them get through. In fact, he’s often asked to talk to those fighting cancer and survivors. Today, health is important to him – as is enjoying life’s pleasures. From wine tasting to live music and more, Gallagher takes the opportunity to live life to the fullest, knowing what he’s overcome.